Summer is here. 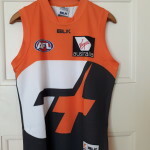 No need to pack up your favourite AFL Football jumpers, jerseys, guernseys. 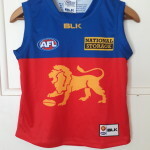 The current modern style of football jumper, jersey, guernsey is able to be worn year round for several reasons . Each is constructed from modern synthetic fabric that is designed to cope with sweaty bodies, is air chilled, and fast drying. A streamlined model of construction means they are more closely fitted to your body shape, assisting ease of wearing, and accessibility of movement . The popular sleeveless style is able to be worn in the warmer months regardless of high temperatures. Conversely it is able to be worn over other jumpers or thicker clothing in cooler months.